This year's Lodge Annual Dinner will be held January 5, 2019, at the DoubleTree Hotel in Binghamton, NY. Below is information regarding the cost of the dinner as well as an option to purchase a golden ticket for all major Otahnagon Events (excluding Conclave). The Golden Ticket must be purchased before or at the Winter Dinner. After 12/29/2018 a fee of $10.00 will apply to all Dinner (Member without Dues) Registrants. After 12/29/2018 a fee of $10.00 will apply to all Dinner (Non-Members) Registrants. After 12/29/2018 a fee of $10.00 will apply to all Dinner with Annual Dues Registrants. Thank you for your continued support of Otahnagon Lodge. We look forward to seeing you all at the Annual Dinner. Otahnagon Lodge set a 16 Arrowmen contingent to the Wild Wild Wimachtendienk Conclave at Mt. 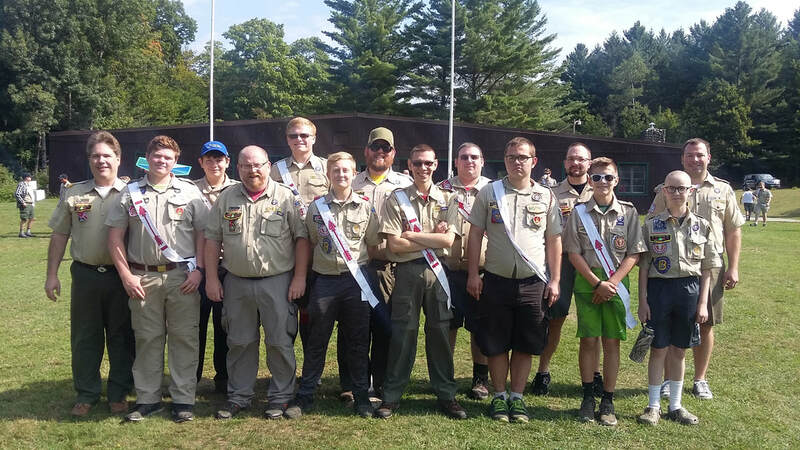 Norris Scout Reservation in Eden, VT, August 24-26, 2018. 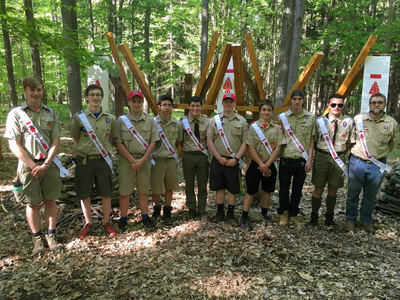 Pictured Left to Right Bob Black (National Committee), Andrew Latter(Naxiyoke Chapter Chief, 2019 CVC), Devin Miller, Dan Miller(Lodge Adviser), Kent Boatment (Outgoing 3x Section Chief), Gabrial Wright, Joshua Hanes, Collen Teegarden, Adam Kovalchick(Section Staff Adviser, Lodge Staff Adviser), Dylan Apgar, Matt Slimowicz (Assistant Lodge Adviser/2019 Conclave Adviser), Joe Driggs, Ken Moore, and Chris Wilkinson (Section Adviser). Not included in the picture but in attendance, Kathy Fuller(Special Operations Adviser) and Tommy Gibson. Mt. Norris was simply beautiful and our host Lodge Ajapeu did a fantastic job coordinating all of the participants needs. Saturday was full of training opportunities to help develop youth leadership as well as how those in leadership positions (adult and youth) can better improve on their home Lodges and programs. 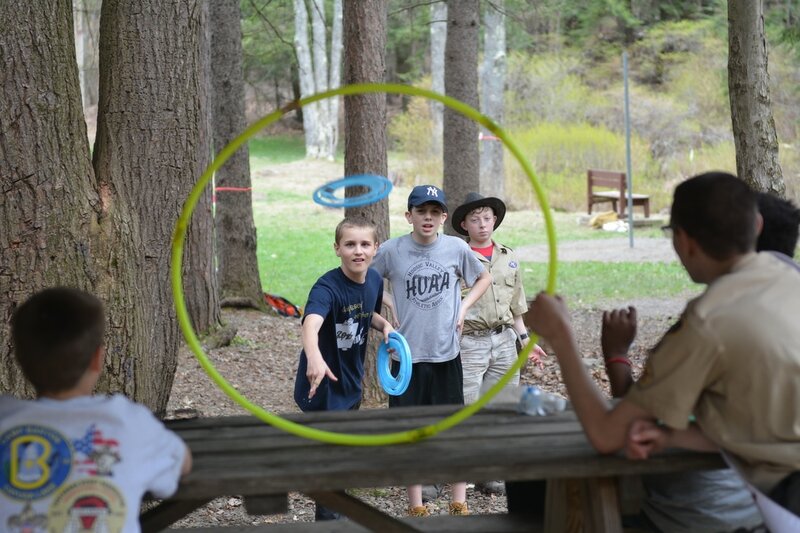 The afternoon was full of great activities ranging from shotgun and rifle ranges to tomahawk throwing, to flying drones through obstacle courses, and many more fun activities. There was an excellent educational talk presented on American Indian culture and regalia as well as a fascinating museum. 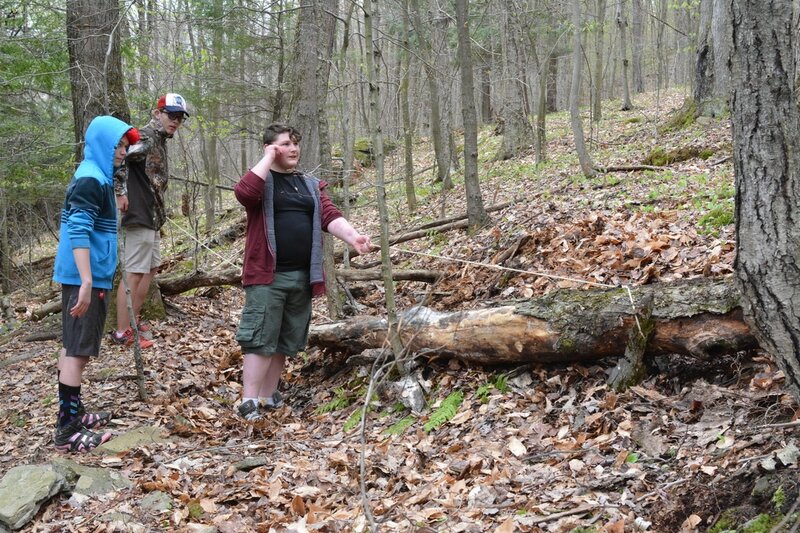 Our active Chief and next year's conclave vice chief Andrew Latter took up the challenge and hiked to the Pike of Mt. Norris along with fellow brothers from around the section. 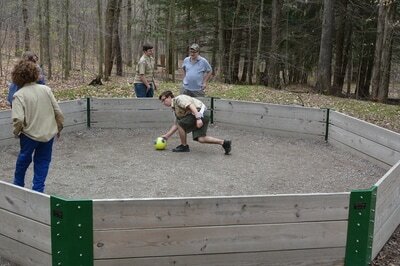 After scout vespers Otahnagon lodge provided indoor and outdoor activities for all members to enjoy. We all enjoyed watching Andrew and Kent try valiantly to win the pint eating contest. Ajapeu Lodge Chief Liam Drew finished his Ben and Jerry's first. A brain freeze was enjoyed by all. A great time was had by all. The youth members demonstrated outstanding leadership and willingness to serve throughout the weekend. They bounded as true brothers and really had a fun time, especially their nightly man-hunt games. On Sunday morning our youth help select the new Section officers for 2019. the New Officers are: Victor Hinojosa from Ajapue, Michael Kassie from Katton, and Harrison Barns form Otahnagon. We wish our new officers the very best as the carry out their mission to help make next years conclave great. Otahnagon is also very grateful for the 3 years of service Kent Boatman gave to the Section as the Section Chief. We wish him great success in the future and look forward to working with him at the Lodge level. On the way home we made an emergency tour of the Ben and Jerry's ice cream factory. We were just in time to be rescued by some Cherry Garcia and frozen cookie dough. The tour was fun and the ice cream treats revived us all. 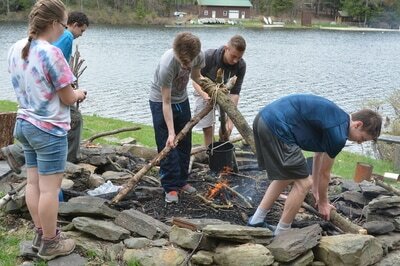 Othanagon will be hosting next years Conclave August 23-26 at Camp Tuscarora. Mark your calendars and prepare as the Order Awakens!!!! During the 2018 National Order of the Arrow Conference, National Chairman Mike Hoffman convened all lodge advisers to discuss key OA policy issues. 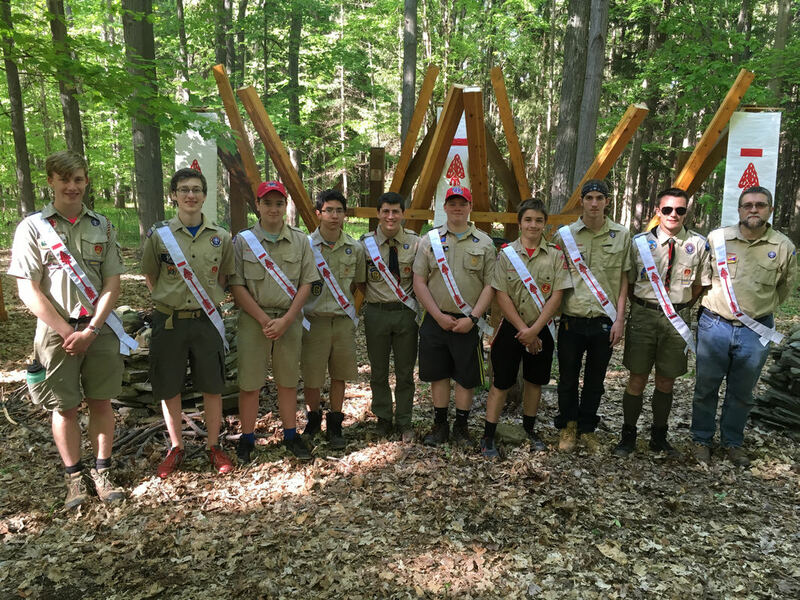 Recognizing that not all lodge advisers had the opportunity to attend NOAC, and that some who did were unable to attend one of our discussion opportunities, below is a summary of the key issues and discussion. Any rumors that suggest the OA is distancing itself from the use of American Indian regalia are false. We are strengthening our policies to ensure when American Indian clothing and other regalia are used that we ensure it is respectful of the American Indian cultures in our local area and of those we are emulating. We are working to provide alternative clothing options for use in delivering OA ceremonies in the event that condition cannot be met (see below). These ceremonies are our most public facing ceremonies and are frequently being posted on social media. Serious concerns have repeatedly been expressed by many of American Indians over the conduct of these ceremonies. We are losing young people to Scouting because of the way in which some of these ceremonies are being conducted. When American Indian regalia is associated with Scouting, the OA is inevitably assumed to be responsible. It is our responsibility to set the example in Scouting in respecting the American Indian cultures we are representing when we utilize Indian clothing in OA ceremonies. The question was asked if the policy means a prohibition on the use of American Indian related demonstrations in Pack meetings. The new policy does not. It is each lodge’s responsibility to ensure that anytime American Indian regalia is being used, that our use is respectful of the American Indian cultures in the lodge’s local area as well as that they are representing if from a different area. The National Director of the OA has communicated this policy change to the Cub Scout Division and asked that it be broadly communicated to Pack Leaders. 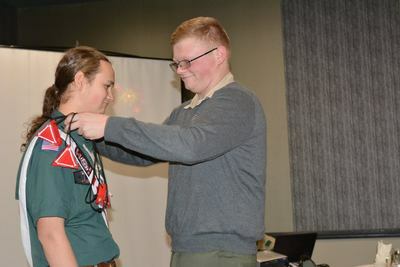 Effective February 1, 2019, coincident with the admittance of older female youth to Scouting, female youth may be elected into the OA. This includes female Venturers, Sea Scouts and Scouts BSA members who have met the eligibility requirements as outlined athttps://www.scouting.org/familyscouting/ (click on the Order of the Arrow Membership Changes Infographic). Can elections be held in Venturing Crews and Sea Scout Ships earlier thanFebruary 1st? No, February 1st is the earliest date on which elections can be held. Can a youth be eligible for election in more than one unit? Yes, but they can only be elected in one unit. To be eligible for election, the youth must meet the applicable requirements of the BSA program in which they are being considered (Venturing, Sea Scouts or Scouts BSA). Does serving on a camp or national high adventure staff meet the camping requirements? It depends. While we prefer that the requirement be met while camping with the unit in which the individual is being considered for election, there may be circumstances in the council, unit or with the individual that should be taken into consideration. While working in a trading post and living in a cabin during camp may not qualify, being a ranger at Philmont certainly would. The unit leader must decide that the spirit and intent of the camping requirement is met. Only the unit leader can make that determination. What publication changes are expected? Primarily those that will make the publications more gender neutral. Will use of Arrowmen, Brother or Brotherhood change? No. The focus group discussions we have held with female Scouters and youth recommend we do not change the use of those terms. How will the OA ceremonies change? We will be examining scripts and considering the proper use of American Indian regalia given that female youth will now be involved in OA ceremonies. While the use of American Indian regalia will still be an option for lodges whose use is respectful of the American Indian cultures in their local area as well as those they are representing, other options are being explored as well. The delivery of OA ceremonies in complete field uniform will continue to be an option. What unique youth protection guidelines will be issued for OA events? No unique youth protection guidelines are needed. Existing guidelines cover the involvement of female youth when camping just as they do in Venturing Crews and they will be applicable to OA events when female youth are included. We will be issuing some examples of how the guidelines can be applied to aid lodges during the transition period. Given that the youth protection guidelines require a 21 or older registered female at all activities involving female youth, won’t we need more female leaders in the OA? Lodges should be taking a serious look at this issue now. If their adult female membership or engagement is inadequate to support the introduction of female youth, that should become a priority issue for the lodge and council to address. How will the introduction of female youth affect leadership opportunities in the OA? 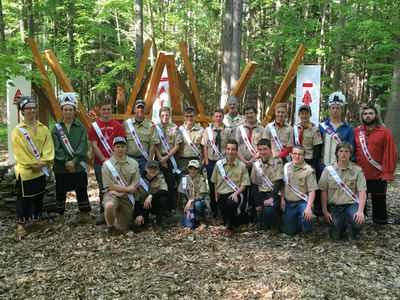 We expect male and female youth members to be equally eligible for all leadership positions in the OA at the lodge, section, regional and national levels. High performing lodges serve in excess of 14% of the youth troop membership in their council. In line with these findings, the National OA Committee recently adopted a resolution to focus efforts on helping lodges achieve high performing status. As part of that effort, 2019 JTE requirements will be reduced from 18 to 10 areas to help lodges focus on two things: membership growth and the few metrics that drive that growth. Watch for more information on JTE and other efforts related to this initiative over the next six months. Please contact Matt Dukeman, national OA director, for any questions regarding these matters. Matt can be reached at Matthew.Dukeman@scouting.org. May 23, 2018Content adapted from oa-bsa.org. 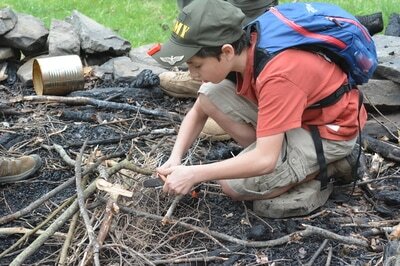 - Be a registered member of the Boy Scouts of America. - Have experienced 15 nights of camping while registered with a troop, crew, or ship within the two years immediately prior to the election. The 15 nights must include one, but no more than one, long-term camp consisting of at least five consecutive nights of overnight camping, approved and under the auspices and standards of the Boy Scouts of America. Only five nights of the long-term camp may be credited toward the 15-night camping requirement; the balance of the camping (10 nights) must be overnight, weekend, or other short-term camps of, at most, three nights each. Ship nights may be counted as camping for Sea Scouts. - At the time of their election, youth must be under the age of 21, hold the Scouts BSA First Class rank, the Venturing Discovery Award, or the Sea Scout Ordinary rank or higher, and following approval by the Scoutmaster, Crew Advisor or Sea Scout Skipper, be elected by the youth members of their unit. 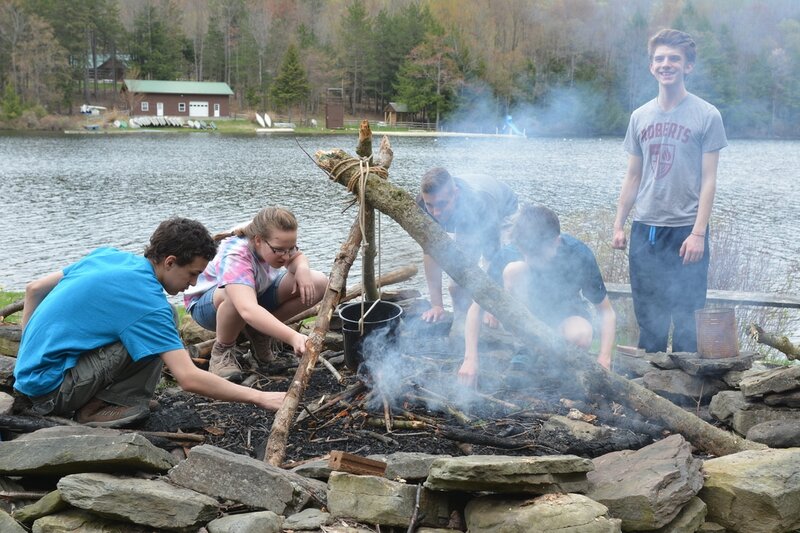 - Adults (age 21 or older) who meet the camping requirements may be selected following nomination to and approval by the lodge adult selection committee. Otahnagon hosted its annual family picnic on June 19, 2018 at Greenwood Park. A large number of brothers and their families attended the picnic. It was a great time to get to meet new people and see old friends. 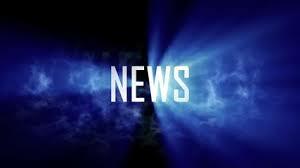 We reviewed up coming Lodge events and plans for the Lodge this coming year. Thank you all who were able to make it out to Greenwood. 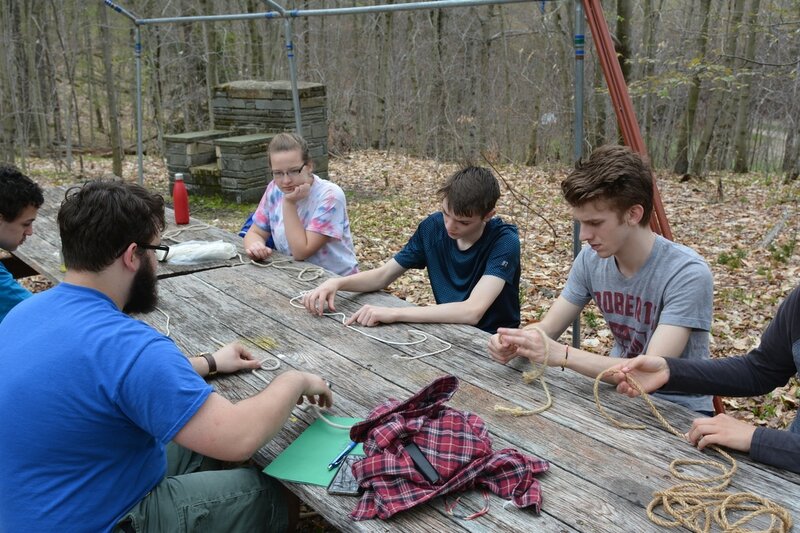 Otahnagon Lodge hosted its Spring Induction May 18-20, 2018 at Camp Barton. Enduring rain and mud throughout the night and most of the day Saturday, 34 ordeal candidates successfully completed their Ordeal. We are extremely proud to now call them Brother. No ordeal is ever easy. Those who go through grow to realize the importance of the challenges that they are asked to carry out. All are designed as a reflection on one's inner self. 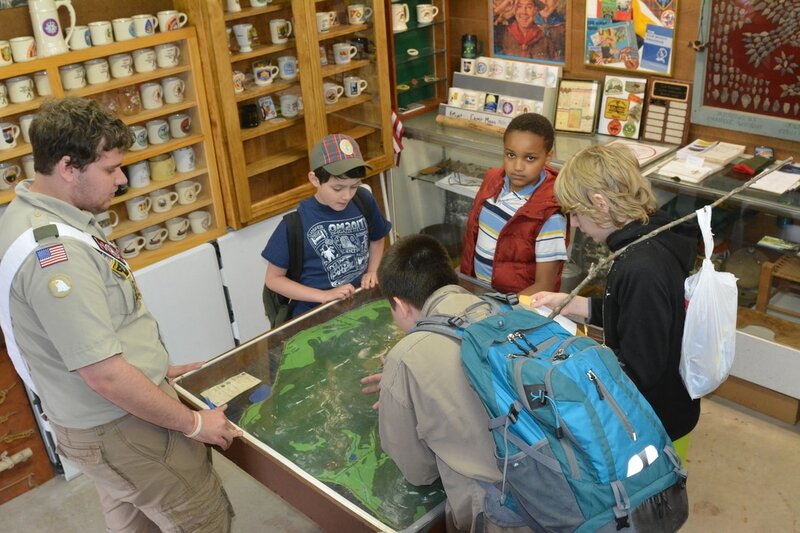 Even at a young age, it is important for these scouts to look within themselves and explore the path they are on and areas in which they need to grow. Hopefully, the Ordeal kindled this process. We certainly hope to see all our new brothers at the unit, chapter, and lodge events in the future. We are pleased to welcome Dylan S Apgar, Christian I Arsenault, Nathan R Barnes, Chris Robert Beavers, Trent Allen Brady, Kyle P Colsten, Kolbie J Cummings, Nathan G Denney, Robert Doner Jr, Parker E Drankoski, Joseph P Driggs, Joey C Fletcher, William E Fletcher, Tommy R Gibson, Daniel Gregory, Kade M Haney, Dylan E Ketcham, Riley S Kressly, Devin Todd Miller, Alexander T F Mills, Kenneth N Moore, Jason W Osborne II, Nicholas Popowitch, Ryan Putnam-Cole, Johnathen C Rockwell, John Ruttle, Fenner P Sisson, Ethan Travis, Ryan J Trenchard, Owen C Walley, Julian S Westbrook, Douglas P Whitney, Albert J Widmer IV, and Gabrial J Wright. We also were grateful to welcome 3 new Brotherhood members into the Lodge. These individuals have previously been ordeal members for at least the past 10 months and are current members of the lodge. They spent the afternoon in reflection and discussion to make themselves fully ready to seal their membership in the Order. Otahnagon welcomes the following to Brotherhood membership: William Miller, Nevan Valla, and Parker Phillips. Finally, it was with great honor and joy that Otahnagon Lodge was able to bestow up three Brothers the Vigil Honor. 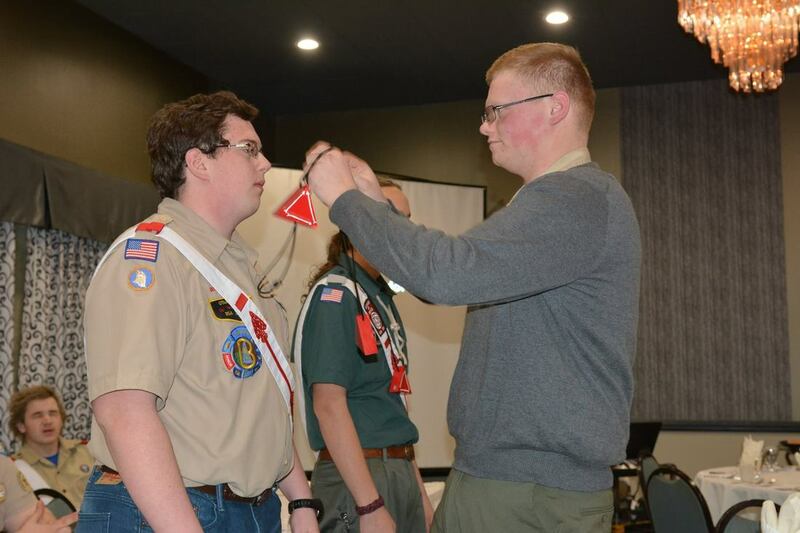 Unlike the Ordeal and Brotherhood membership in the Order of the Arrow, the Vigil Honor is specifically bestowed up individuals who have demonstrated exemplary service to the Lodge and Scouting. To be eligible for consideration for the Vigil Honor an Arrowman must be a Brotherhood member who is currently registered in the BSA and the Lodge for a minimum of 2 years. A Vigil Honor Committee is formed within the Lodge and those members entertain nominations for the Vigil Honor. Upon selection, the Vigil Candidates undergo the Vigil. This process once again challenges the member to explore their inner thoughts and consciousness. By accepting the Vigil Honor, a Vigil member pledges him/herself to a life dedicated to the service and devotion to others so long as they are able. This year we are pleased to bestow the Vigil Honor upon Harrison Barnes, Josh Noyer, and Liam Stark for the unselfish service and devotion to other. Congratulations Brothers. 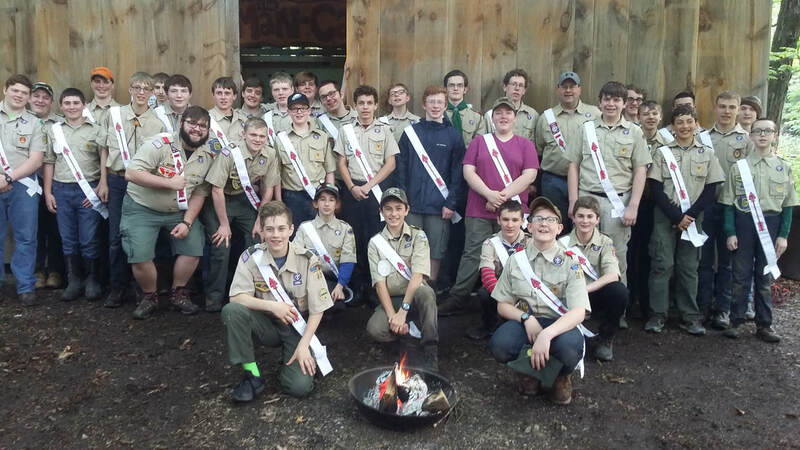 26 scouts from around the council gathered on Saturday, April 14, 2018 for an intensive in Medicine Merit Badge. We were very fortunate to have Christine Honnick, PNP, Dr. John Zevan, and Dr. Mark Brennan along with Dr. Miller in instructing this course. The scouts were provided a wide range of material covering the history, ethics, education, and examination procedures. They also explored healthcare in different countries and how healthcare is regulated in New York State. At the end of the program they had a chance to review and practice bleeding control procedures. 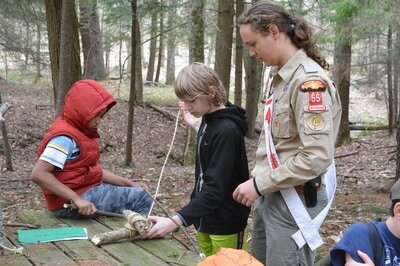 It was a fun, fast pace experience which brought many fine scouts together for a day of learning and fellowship. More merit badge intensive opportunities will be announced in the near future. Can't wait until the Spring Induction weekend in May? Well good news, Ochenang Chapter is holding their lock-in fellowship March 16th to 17th from 7:00 pm to 7:00 am. You'll get to spend the night with your brothers from all around the chapter and even the lodge! It will be held at ​Berean Bible Church off Route 12 in Greene, NY. It costs only $10 to attend, which will include food. There will be board games, frisbee, game rooms, and the gym will be available. Do not be left out on this fantastic event! Winter Dinner 2018 was a blast! ,Thanks to all those who attended Otahnagon's Winter Dinner 2018! Everyone had a great time and enjoyed the variety of food provided. 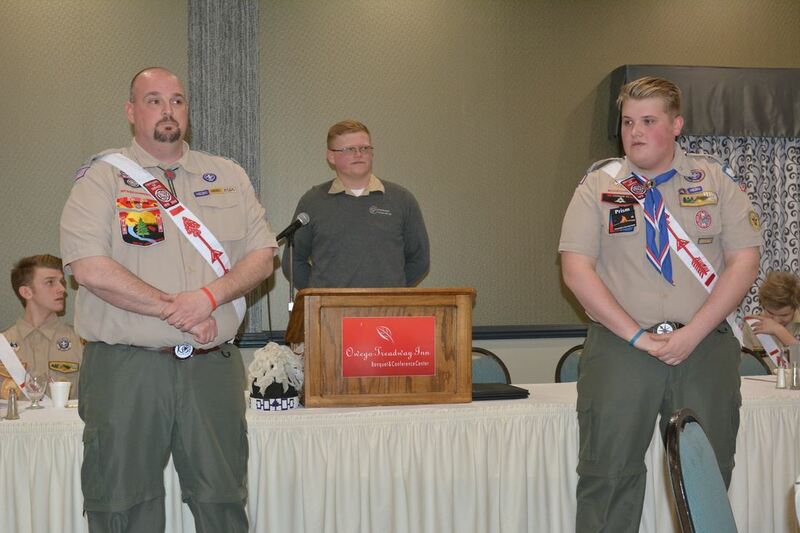 At the Winter Dinner, we had a guest speaker, announced Harrison Barnes, Liam Stark, and Josh Naylor as Vigil Candidates, Mr. Valentine and Isaac Valentine received the Founder's Award, and Devin Bialy, Naxiyoke Chapter Chief, was declared Outstanding Arrowman. Missed out on all the fun? You can come to our next Winter Dinner and the Spring Induction in May. Want to hear more about this event and others? Check our Facebook listed at the bottom of every page on the website. Otahnagon Lodge's annual Winter Dinner will be held at the Owego Treadway on January 6th, 2018. The event will begin at 6:30 pm and end at 10:00 pm. Sign up with the button above! All the prices and information is there, be sure to click on it! The Winter Dinner is Otahnagon's annual fellowship where brothers from all over the lodge gather for dinner and fellowship. The food is catered and will be delicious. We will also have lodge awards and announce Vigil candidates. We will also have a guest speaker. Why wouldn't you want to come! ​Fall Induction Weekend is quickly approaching! Besides food, Frisbee, fellowship, and service, we will put candidates for the OA through the Ordeal. In order for this to happen, however, we need troop elections to happen! If you are a Troop Representative, or someone who wants to see an election held in their troop, be sure to schedule one with us in advance so we can get people to your troop's meeting to hold an election. Every troop should have an election once per year. I you need an election, email Harrison Barnes at hjjbarnes@gmail.com or Cory Valentine at coryvalentine@epix.net . You can also contact Chester Bennett at chesterabennett@gmail.com to set up an election. Big thanks to all those who helped out this past Induction weekend. Many projects were completed, and everyone had fun! Congratulations to our new Vigil, Brotherhood, and Ordeal members! If you are a recently inducted Ordeal and do not know when or where your chapter meets, check the "Chapters" section of the website. If your chapter has not yet reported, check with your Chapter Chief. We just hosted out lodge camporee! The scouts who attended had an amazing time. Thanks to everyone who participated in this well planned event. 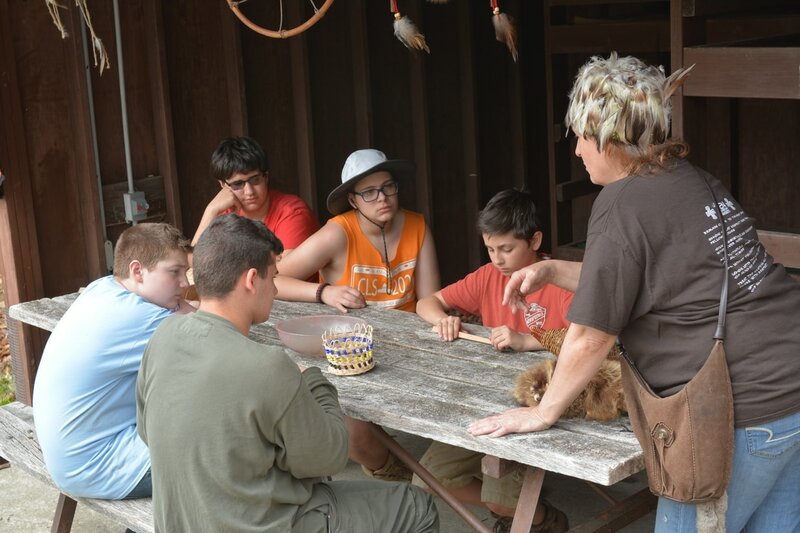 Do you ever find yourself wondering what you can do to serve your Order of the Arrow Lodge? Have you been involved in numerous service projects, and wondered what else the Order has to offer? Being a part of a ceremonies team is an excellent way to be an active member in the Order of the Arrow. Being a ceremonialist not only makes one more involved with the Order; it is a truly rewarding experience. Most brothers don’t know that being part of ceremonies is an alternative way to serve your lodge. Being a ceremonialist makes you a more rounded individual by sharpening public speaking skills as well as theatrical skills that could be use later in life. Ceremonies teach time management since members are expected to memorize their speaking parts. Lastly, ceremonies strengthen the bonds of brotherhood by having ceremonialists work with brothers from around council. 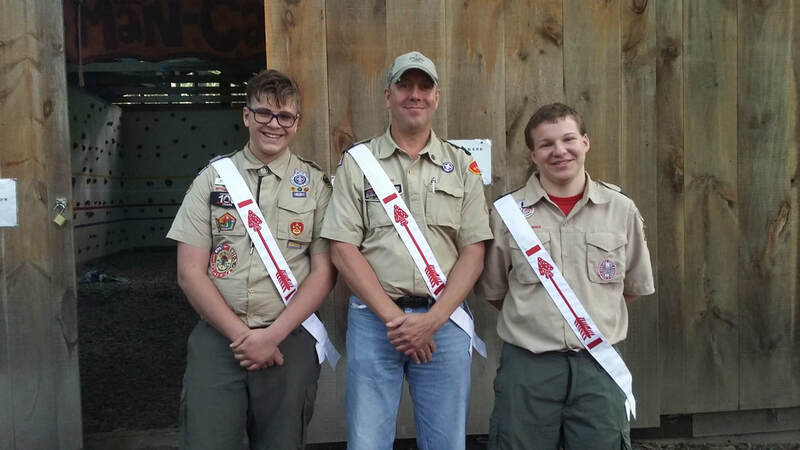 As a ceremonialist you may a mentor to a future generation of arrowmen. The pre-ordeal ceremony is the first ceremony ordeal candidates experience. By being part of the team, new ordeal members are apt to remember you and keep coming back to see you perform. While participating in ceremonies you’ll find that you gain a deeper understanding of the Order of the Arrow, and better comprehend the symbols and themes that are used throughout the ordeal.